That was President Goodluck Jonathan on January 16th, 2012 backing down from the earlier announced N141/litre that would have all but eliminated the subsidy paid on petrol by the government. Strictly speaking, what the Nigerian government does with petrol prices in Nigeria is not a subsidy per se. Whatever the price of crude oil – no matter how crazy that graph moves – or even the value of the dollar, the Nigerian government guarantees that you will pay a set price for it. To put it in the language of the street, the government undertakes to ‘chest’ the difference between the N97 it says you should pay and whatever the real price is. On the day that President Jonathan announced the N97 price, the price of Brent Crude was $110 per barrel. On March 8th it was $128 per barrel. Picking another random date – May 1st 2013 – it had dropped to $98 per barrel. By June 18th 2014, it was selling for $115 per barrel. 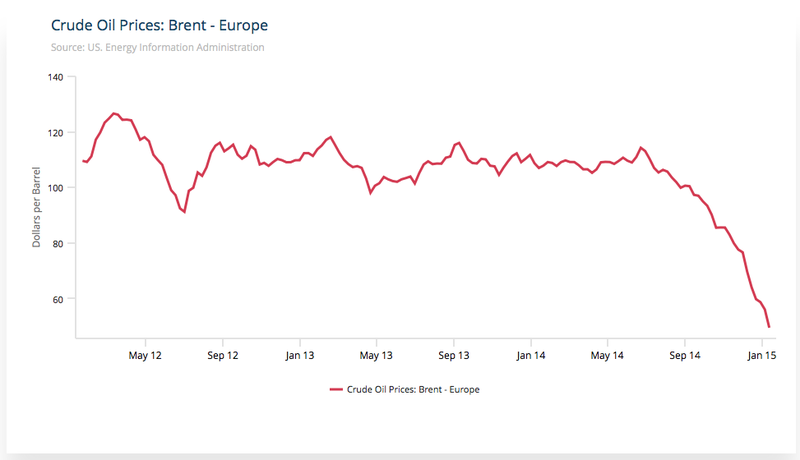 You get the gist – Brent crude is priced daily and the price is hardly ever the same on 2 consecutive days. It’s a market which responds to demand and supply and the price gives us a rough idea of what the market is like in a given period. These days the price is under $50 per barrel which is partly because there is more oil in the market than is being demanded. And no one knows what the price of oil will be in 6 months or 1 year. Could be lower than $50, could be higher. So that you don’t buy petrol at N97 today and then N120 tomorrow and then maybe N100 the day after, the government has this ‘chesting’ policy which insulates Nigerians from what is going on in the real world. This kind of thing doesn’t happen elsewhere as you know – if the cost of transport goes up, the person selling tomatoes in the market will increase the price – no ‘chesting’. And when you go to the market, you pay what the price is. There are not many things from which people are shielded from reality in this way but then, the story of fuel subsidies is complicated – Nigerians, with good reason, feel it is the only thing they get from successive feckless thieving governments. The reason why subsidies are a bad idea are pretty simple to understand. Consider Aliko Dangote, a very rich man indeed. He can afford almost anything he wants including lots of cars. Let us say he has 20 cars in his house. Each car has a 100 litre tank. Every week he buys a full tank of petrol in each car to run errands and all sorts. This will cost him N194,000 per week. But what if the actual price of petrol is N127 per litre and the government has chested the N30 difference. This means that the government pays N60,000 every week towards fuelling Dangote’s cars. We can agree that Dangote is not suffering from a lack of N60,000 – last I checked, he was down to his last $24bn. If you are poorer than Dangote and you have just 15 cars, the government pays N45,000 every week towards fuelling your car. If you are hustling with just one car, all you will get is N3,000 per week from the government. And so on. It is clear to see that the richer you are, the more you benefit from the government’s chesting of the petrol price difference. Now, that N3,000 of course means more to you than the N60,000 does to Dangote – which is exactly the point. Doing subsidies this way is quite wasteful and the richer you are, the more you benefit which is turning things upside down from the stated goal of helping those who need help the most. This is why now is the best time to remove subsidies. Because the price of crude oil has fallen so low to the point that the government is not paying much subsidy (90k per litre according to the PPPRA website in December), you can end subsidies and get away with it. This is what the new President in Indonesia, Joko Widodo, has done. By some very good timing, he was able to cut subsidies and the prices actually fell from what the government set it at. This will save his government around $16bn per year which he plans to use to build some infrastructure and also roll out the Indonesia Smart Cards for health, education and welfare transfers to the poorest citizens in the country. In theory, now that the cards are in the hands of the poorest people, if and when oil prices go up again, the government can make payments to those poor citizens who will be most affected by petrol price increases while leaving the rich people like Dangote to pay the full price. It is hard to argue that this is not the right way to do things. India’s new Prime Minister, Narendra Modi also took advantage of falling oil prices to scrap petrol subsidies in October last year, freeing up around $11bn per year. Again, the plan is to better direct the money to those who need it and not the blanket approach of price fixes. I am a firm supporter of the APC. I am hoping and praying (and doing whatever little I can) to make sure they win the Presidential elections next month and oust the PDP. But the nature of politics and politicians is that they are guaranteed to do things that you find annoying or can’t defend. The APC have recently been taunting the government over petrol prices. No less a person than the Lagos State Governor, Babatunde Fashola has been at the forefront of the calls for lower petrol prices. Governor Fashola is a very smart man so a charitable reading of this is that he has been playing politics hoping to put the PDP on the back foot. Fair enough. The problem is that the government has now taken up the offer and actually dropped the price. There is no winner here – if the APC win next month, this is already a trap. They are going to have to either put the price back up or remove the subsidy entirely. Neither will be popular and that would mean a complete turnaround from their previous position in only a matter of weeks. (At least they will have the excuse of finding something ‘unexpected’ when they take over to justify their volte face). As for the PDP, well they are in a hole already so I won’t advise anyone to enter a digging competition with them. They know how much of a mess the country’s finances are currently. There is no way Nigeria can afford to start paying subsidies again. The markets have given them some serious breathing space by cutting the cost of the subsidy – the amount of chesting they have to do – without any effort from them that would normally require a lot of political capital. Perhaps they reckon they can afford it for 2 months and once they win, they will simply put it back up again. At a time when the national budget is in tatters with a massive hole in it, where is the sense in this? Already, the government is on course to borrow a record amount of money this year which means that we are guaranteed to start spending more than N1trn a year on debt servicing from next year (currently around N990bn). Not forgetting that this year’s budget has only 9% of capital spending in it and capital budgets are the first thing to cut when things are really tight. There is no country anywhere in the world I am aware of that grew by spending the bulk of its budget on recurrent expenditure – we are jogging on a treadmill as a nation. Going nowhere fast. It’s all well and good to ‘enjoy’ the price reduction but let no one be fooled – the bill is coming and it is coming soon. No one should take this is some kind of right because oil prices have fallen. You did not pay more when prices went up so demanding some kind of price reaction based on market forces is a bit ludicrous. All of a sudden people are saying what if the landing price is below N87? Doesn’t that mean the government is taxing petrol? This is a bizarre argument. The government does not import petrol itself. It asks people to import and then based on what it costs them to import, it pays them the difference between their cost (plus a profit margin) and the N97 it has set. If the landing costs are below N97, then there is simply no subsidy to pay. But because the price is fixed and not market driven, surely marketers cannot be expected to volunteer to reduce prices themselves? There is no tax. The importers simply make a bit more money. There is also the silliness of assuming that because crude prices are saying one thing today, a price reduction in petrol is justified immediately. It does not work that way. In economic jargon, there is something known as Asymmetric Price Transmission otherwise known as the ‘rocket and feathers effect‘ that is, prices go up like a rocket but come down like a feather. It is a fact of life for which there need not be any collusion at work. By reducing the price of petrol, the government has now volunteered to pay subsidies where it does not need to. Any right thinking Nigerian ought to be worried about that especially coming from a government that has not been known for sound financial management. Even when Nigeria was earning $110 per barrel, the budget was running a large deficit. Surely now that prices have halved suggest that there is no money to throw around for anything? I do not like the current government at all but I also do not want them to bankrupt the country before they leave next month in the name of tossing N10 to Nigerians. 1. I thought that since it was something the government badly wanted, it was an opportunity to draw some concessions on reforms from them in exchange. The economic argument against subsidies were the same then as now and I believed in them then too. 2. I also did not fully grasp the scale of the corruption around the subsidy programme until after the protests when the investigations and hearings began. I have since changed my mind and I now think the subsidies should go. It was one thing mainly that caused me to switch my position. During the hearings, I was reading different things about the whole mess and came across a checklist that was used to approve subsidy payments to importers. It was designed by a leading Nigerian accounting firm and the checklist had 30 different steps i.e. each step needed to be completed and signed off before the payments could be made. Some of the steps were as mundane as asking if the ship bringing in the petrol was sighted at the port and whoever did the sighting signing and dating that part of the checklist. I am an accountant and building checklists to improve processes is something I have had to do in different jobs. If you hired me to improve the subsidy system, a checklist like that is one of the things I would have done with distributed verification across different parties who could be held responsible in case of something going wrong. And yet, people were paid subsidies for ships that never came to Nigeria. It is one thing to say get paid for 1,000 litres of petrol when you only brought in 800 litres. That is malaria and it can be cured with chloroquine or something. But when you are getting paid for imaginary ships and passing a 30 step checklist (including someone attesting that they saw the imaginary ship), that is cancer – things need to be cut off. I believe that there is still a lot of stealing going on. Perhaps we are no longer paying for imaginary ships (or as many as before) but we will only know when the next scandal breaks. Our record of punishing people for stealing is not very good to put it mildly so I doubt the people who were stealing have suddenly become model citizens. Let the subsidy go. The whole thing. And there is no better time to do it than now. Another poor reading year. Same excuse I gave last year. Nevertheless I did manage to read some really interesting things. I am not sure this was the best book I read in 2014. I think it’s the best book I have ever read, period. If everyone writes history like Alan Taylor does, it will be a far more interesting subject than it currently is. 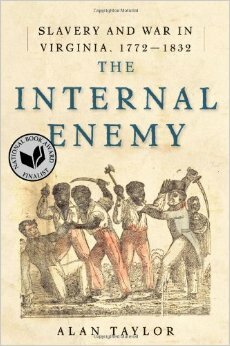 This is the untold story of slaves in America – around 3,400 in all – who escaped from Virginia to side with the British and fight against their former American owners. It is a bit more complicated than that, but you get the gist. In the end, this is a tale about the unlimited capacity that humans have for hypocrisy – just because something is evil (and most people know it’s evil) doesn’t mean it can’t continue for hundreds of years. I really loved this book and its one I will go back to again. The thing about China is that the Communist Party really really controls the flow of information in the country. So unless you live in China, it really is impossible to know certain things. Records are erased to the point where you can never find them anywhere anymore. 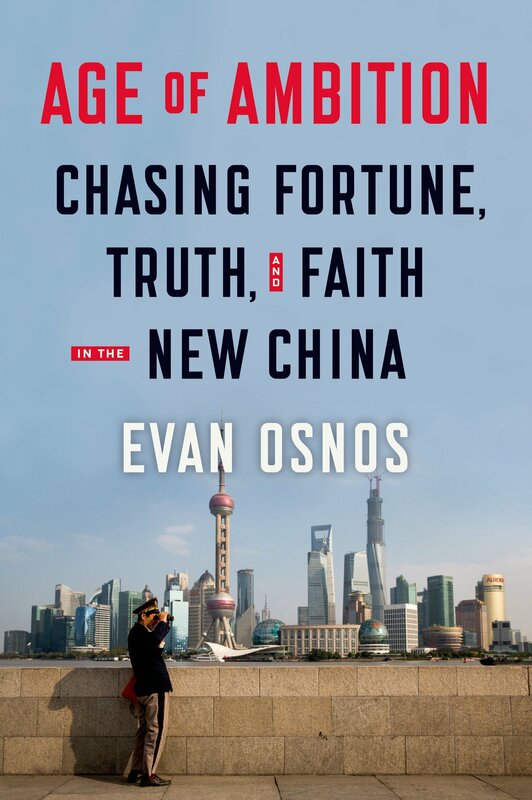 Evan Osnos spent 8 years living in China and documented a lot of what he saw. The result is an immensely enjoyable book that follows the lives and ambitions of actual ordinary Chinese people living in a time of almost breakneck speed. 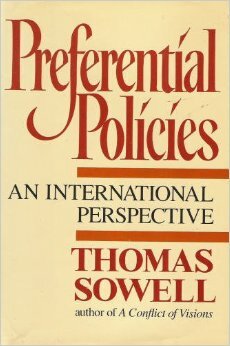 Professor Thomas Sowell remains one of my ideological lodestars so from time to time I go back to read something he wrote a long time. They never disappoint. 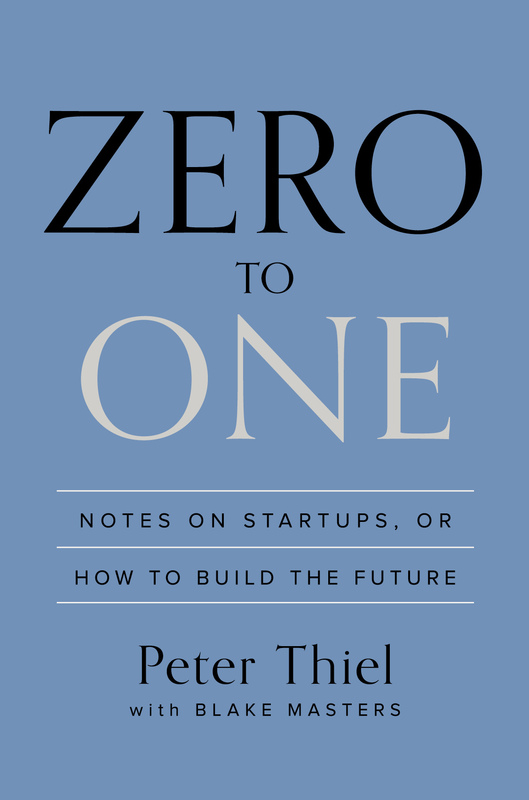 Bring all your priors, knowledge and beliefs and allow Peter Thiel to challenge them for you. It’s not too difficult to be a contrarian – just oppose whatever the consensus is. What is not so easy is to make a convincing argument for thinking the opposite of what everyone accepts as conventional wisdom. You won’t agree with everything he says – I am still struggling with his arguments on monopolies – but you will not be able to dismiss the points he makes easily. He is formidable as an intellectual. 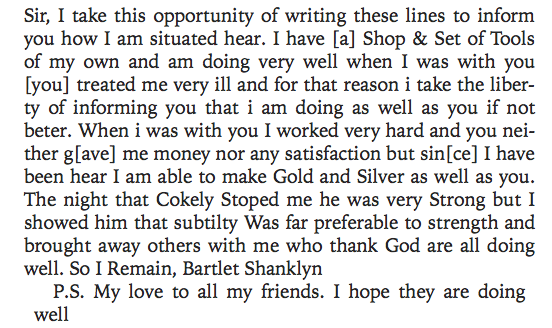 Teju Cole really knows how to own the English language. Not everyone can think something in their head and then write it down in a way that brings the reader into their head. 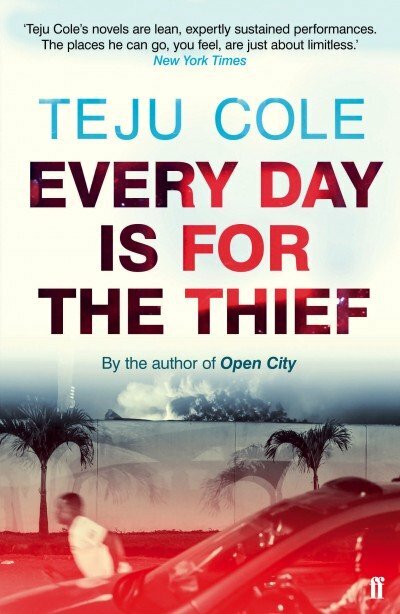 This is also a depressing read about how Nigeria doesn’t change much – he wrote the book in 2007 before the critical acclaim that came with Open City. It remains as true then as it was in 2014 when it was published again. It’s a work of fiction. Or is it? Last year was the 100th anniversary of the Great War that killed millions and millions of people in Europe. Yet, a century later, few people are agreed on what exactly it was that caused the war. 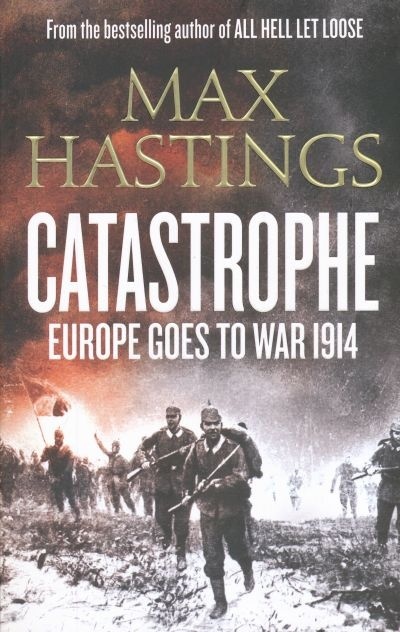 Max Hastings does his best though and the result is this magnificent chronicle of the first year of the war and everything that led up to it. Even African conflicts look like child’s play compared to the killing spree that went on in the first 5 months of the war alone – 329,000 French deaths and 800,000 German casualties among many others. It is amusing then to see Scotland and several other small ‘nations’ agitate for independence in 2014. Europe used to be a place where it was really dangerous to be a small country. It sometimes felt as if 2014 was the most racist year in history, ever. Every week on twitter there was one ‘racist’ event or the other, complete with its own hashtag. What’s the real story? Is the world evidently more racist than it has ever been? Who knows. But Jason Riley writes from America (where the majority of these arguments emanate) in a way that isn’t very popular outside of Conservative circles. 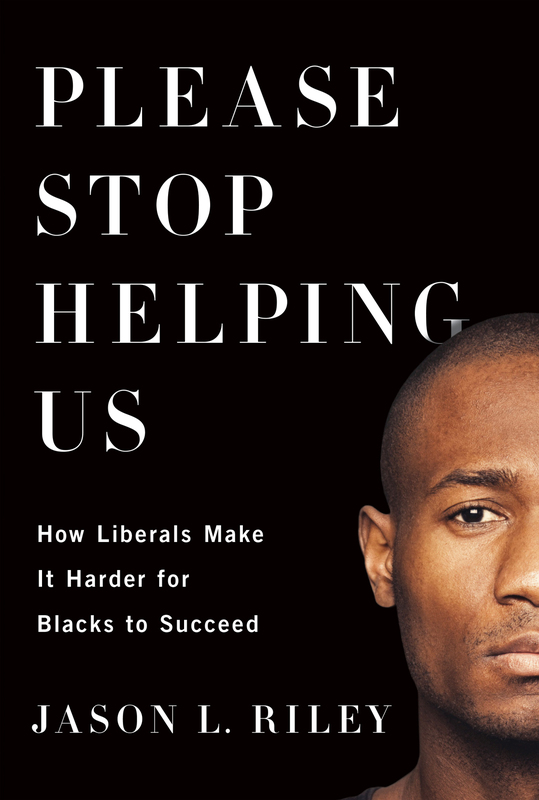 Staying with the data and avoiding emotional arguments, he makes the case (like Thomas Sowell) that many people who wanted to help blacks in the 60s ended up harming them. I thought to add some articles I read and enjoyed in 2014 as well. I really got into New Yorker magazine and they gave me some really enjoyable reads in the year. 1. What do you know about Angela Merkel, one of the most powerful politicians in the world? After reading George Packer’s piece on her, you’ll realise the answer to that question is ‘not much’. I am glad that I wrote my most popular piece in 2014 and it was an explainer. If you read that piece and shared it, thank you very much. 3. This 5 part piece on the future of the book by The Economist magazine was excellent. 5. In 2014 I discovered Professor Ricardo Hausmann. He blogs once a month at the Project Syndicate (bookmark him) website and everything he writes is excellent. 6. Professor Deirdre McCloskey is another one of my ideological lodestars. As someone said, she appears to have read everything worth reading and is never ever boring to read. She did a 55 page review of Thomas Piketty’s ‘Capital’ and it did not disappoint. I haven’t read the book itself but I suspect Professor McCloskey’s review is more interesting than it is. That’s it. Books continue to enrich my life and I hope they do yours too. See you in a year (no, this blog will still be here. I mean the next review). Guest Post: Does It Matter If A Cat Is Black Or White? In 1978, Deng Xiaoping became China’s pre-eminent leader at 74. Before leading China, Deng had cut his teeth in the army, helping it grow into a military machine during the Communist Revolution in the 1940’s. Though initially praised for his role by Chairman Mao, he fell out favour during the 1960’s because Mao considered him too self-centred; was stripped of all his posts and exiled to a rural province to be re-educated. Deng eventually made a political comeback after Mao’s death and started downgrading Mao’s legacies and opened China to globalization. He was not a flawless leader; the Tiananmen Square Massacre happened under his watch and he also instituted the radical policy of limiting families to “one child per couple” to stem the rising population. However, his most important legacy is laying the foundation for China’s economic boom with forward thinking reforms. He opened China to international trade and introduced reforms in agriculture and industry that improved the overall standard of living and triggered a period of sustained economic growth. The similarity with the Deng story is a major reason I am supporting Muhammadu Buhari to become Nigeria’s next President despite his history of being a military ruler whose government signalled in the end of democracy in 1983, or a perception of being driven by ethnic sentiments and religious bigotry. I strongly believe he is the leader for the Nigeria of today, and that a government under his leadership will create the foundation for a sustained period of economic growth and development. Nigeria has lost between $20 billion and $30 billion in the last two years to oil sector corruption alone, an amount equal to the Federal budget in 2013 ($31.7 billion). With this in mind, anti-corruption is the most important agenda for him during this election season. While it is obvious that one man cannot solve this problem, it is useful studying how Georgia managed to reduce corruption significantly when President Mikheil Saakashvili took over the government in 2004. If you read the comment below, you will understand why Muhammadu Buhari’s credibility is a great asset in the battle to minimize corruption. This document here is a great read on how Georgia successfully fought corruption. If you can’t read the complete report, the summary is pretty simple – If a country’s leadership shows zero tolerance to corruption, the business community and citizens will fall in line. In Georgia’s example, the radical policies not only reduced corruption, they improved government’s credibility which increased tax collections. This is my biggest reason for asking voters to vote Muhammadu Buhari into office with a majority at the National Assembly. What can others learn from Georgia’s success? Leadership and political will are all important. So too is establishing early credibility. In early 2004, the government thought it had 8 months to get quick results. Most famously, 16,000 traffic police officers received their waddling orders overnight. In an effort to sustain public support, attention grabbing symbols matter. I am a member of the All Progressives Congress because its overall ideology is the right one for today’s Nigeria. A “left of centre” party will ensure social welfare programs which are badly needed in Nigeria today, protect workers and provide equal opportunities in the society. If you don’t belong to a group of Nigerians benefiting from Government patronage, this is the right party for you. While there are legitimate concerns around the size of such governments and its impact on free markets, an APC government will provide a fine blend of grey matter to balance the impact of its policies on business and the cost of governance. Within the party, there are people like Nasir El-Rufai who led a lot of the privatization of public assets at the BPE; Ben Akabueze who has brought his banking experience to the public sector and ensures Lagos State delivers on an ambitious development plan; Olawale Edun, who led the diversification of Lagos State’s revenues between 1999 and 2007; and of course, Yemi Osinbajo, who is credited for reforming the Lagos State Judiciary during his term as the Attorney-General and Commissioner of Justice. This is a stellar cast of grey matter that will thrive under a Buhari Presidency. If there is one thing we have learnt from Buhari’s record of leadership, it is clear the man has no problem delegating responsibility where competent lieutenants are available. James Carville might remain relatively unknown, but the campaign slogan he coined for Bill Clinton’s 1992 presidential campaign is now one of the most iconic campaign slogans of all time. Nigeria is now facing headwinds as oil revenues, our major income earner, might experience a sustained period of suppressed prices. There is absolutely no reason to believe a government that frittered a period of boom away will manage this lean spell properly. In a period of reduced revenues, exchange rate depreciation and higher interest rates, voters need to be sure about the decisiveness of its leaders and the ability of government to respond intelligently to the rapid changes in the global economy. For 16 years, Lagos State has used its share of growing oil revenues to boost non-oil collections by improving tax collections. Today, it is the only state where federal allocations contribute less than 50% of the total revenues recognized by the state. Today, while the Federal Government and many states struggle to pay salaries, Lagos State is not only meeting its obligations to employees, it is also embarking on a large-scale infrastructure projects. For those who will ask the inevitable questions on Lagos State’s debt, I already answered that here . 2015 is an opportunity to test if the relative successes seen in Lagos since 1999 can be replicated at a national level. It is also the right time to test the economic policies of both parties and their presidential candidates. Since 1999, there has never been a period where the economic credentials of our leadership team are more important than now. Will you vote the government that ensured 24% of Nigerians remained unemployed despite record-breaking revenues or the one with a clear agenda to ensure at least 5 million jobs are created per year? This one is the clearest reasons to bat for the APC ticket. I don’t know Namadi Sambo, but the limited influence of the Vice-President suggests he doesn’t add sufficient value to Nigeria’s leadership. While the Vice-President of Nigeria might be seen as an expensive appendage, it is clear under a Buhari presidency, Prof. Yemi Osinbajo will get a lot of leverage to lead policy implementation. Like thousands, I have been exposed to the “incoming” VP’s clear thoughts on Nigeria and the solution to our underdevelopment. It is therefore exciting to finally see an opportunity for one of the finest thinkers I know to put those theories to test. I can’t remember any Vice-Presidential candidate being so important in an election, but Prof. Osinbajo brings a lot more than religious and ethnic balance to this ticket. It is an incredible opportunity to get a proper intellectual into office especially one who has spent most of his adult life proffering solutions to his country’s problems. For those in doubt, please wait for a debate between Vice-President Sambo and Professor Osinbajo. Get your white towels ready, it promises to be a remake of that epic battle between Sugar Ray Leonard and Roberto Duran. The Buhari running for office in 2013 is very different from the one that ruled Nigeria in 1984 or the one that ran for office in 2003. I will use two quotes from the man himself to explain. I attended a session where he sounded very sad about the Supreme Court judgement where the result of the 2007 Presidential Elections was upheld by 4 votes to 3 despite an admission of irregularities during the election. Buhari seemed surprised the judges who dissented with the majority were Justices Oguntade, Onnoghen and Aloma Mukhtar (who later became the CJN), and not the ones who came from the same ethnic origin as he did. In that moment, I suspect the strong ethnic connection Buhari had been associated with slowly dissolved, and he realised people are aligned by interests and not where their origins lie. The second was his admission that he submitted to democracy‘s power over autocratic leadership when the U.S.S.R. dissolved without a bullet. In both admissions, it was clear that both incidents had a huge effect on him and contributed to the renaissance we are now witnessing. The result is very interesting. For the first time since 2003, GMB has finally built a coalition with a national outlook instead of the Northern based candidacy which was never going to deliver him the Presidency. For me, his conduct during the merger that created the APC showed a man who now understands compromise is an important word in the political landscape. I don’t regret not voting for the 2003 version but the 2014 version surely has my vote in the bag.